Immerse yourself in the heart of the entertainment industry with a cruise down Hollywood Boulevard’s Walk of Fame, and visit the iconic Chinese Theatre and Dolby Theater. Take in the Sunset Strip and the Hollywood Hills as you pass gorgeous Beverly Hills homes as you head up Rodeo Drive. From here, the tour takes a turn down the glamorous Wilshire Boulevard, home to the La Brea Tar Pits and Museum Row. Enjoy a delicious lunch at the venerable Farmer’s Market and explore the Grove shopping center. 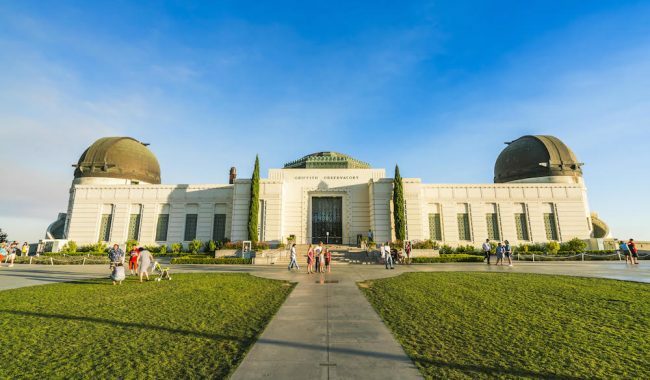 After a short break, the tour will again set off, this time toward the Griffith Observatory. Enjoy the breathtaking view of Los Angeles and the famous Hollywood Sign.